Happy Holidays !!! It's giveaway time!!! With some long days wrapping, shopping, cooking and managing everything else; we are sure you are all tired !! To help you relax; we are running an special RELAX AND ENJOY SPA GOODIES BASKET giveaway! You hear it right! It is giveaway season and what better day to start to run it than on Christmas Eve ! So go on, click on the link and enter our very FIRST giveaway ! WHAT DAY IS IT?! 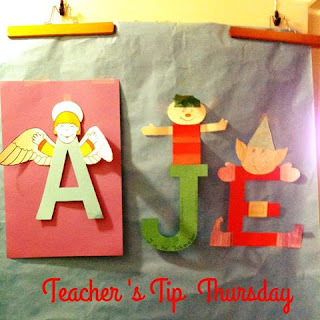 #TeacherTipThursday !!!! With the holidays coming up we felt it was the best time for Wendy's Bookworks to have our first ever GIVEAWAY!!!! Stay tune for the details! "With Jingle Bells and school bells still ringing in your ears - it is time to stop and smell the gingerbread! Lucky me; my awesome niece works for Epicuren Discovery and has provided some of their products for a basket full of spa luxury and we have added a few fun items. Start with a tropical body wash and finish with Kukui coconut moisturizer. Invite some friends over and erase those stress lines with packets of Hydrating Mineral Mask, Enzyme protein Gel and Instalift Facial Cream! We also included some caramel spoons for stirring hot chocolate or hot toddies and golden straws for sipping frappachinos or egg nog. Since "Back To School" you have been giving time and energy to your students - now take some time and re-energize yourselves". It is Thursday and you know what that means !!! Running out of display space? This time of the year there are so many cute craftivities to display. A quick and easy solution is to hang butcher paper from doors and cupboards for temorary display space. I used 2 old pants hangers I saved from my grandmothers closet, but you can get hangers with clips at the Goodwill stores or Target. Make your own with a metal hanger and some clothes pins. If the hangers do not fit over your particular door, use a wreath door hanger on the door, then hang the metal hangers from there. 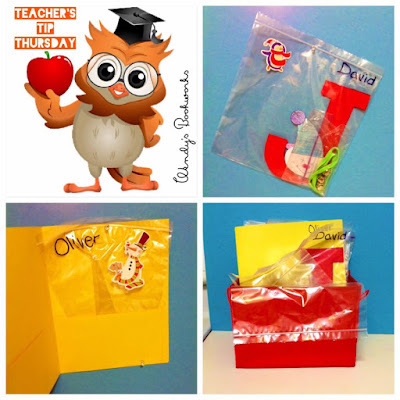 Attach items with tape - single sided or double sided. Yes it will tear a bit when you take it down, but it is "disposable" display space. Or cut a small slice into the paper with a craft knife - slip a large paper clip onto the butcher paper through the slice, then slip the craftivity up under the paper clip to hold it in place. 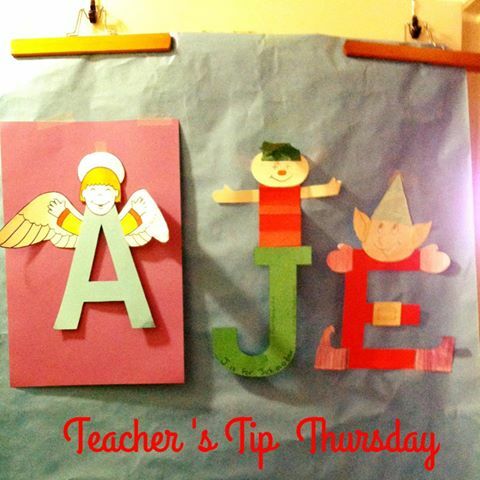 The Angel, Elf and Jingle Jack in A Box are from Alphabet Art Upper case and the jolly Santa is from What's New For December. Next week when the last cupcake crumbs are being swept away, the displays come down quicly and easily! Tis' the season for crafty projects. The problem is many of them require more than one session to finish. Pieces get lost, tears are shed and we end up providing a lot of extra materials as "back up". I have solved this problem with a one gallon resealable bag. The bag has been labeled with the childs name and may or may not have been decorated with stickers. At the end of every craft session, all the pieces go into the bag and the bag gets stored in a cubby, a folder, the desk, or an easily accessable storage box. When the students have finished other work, they can retrieve their bag and work on their projects. Periodically we bag up everything in the cubbies and desks to send home in the bag (usually before vacation) and we label a new bag when we return to school. I have found this solution helpful for cut and paste activities in a center as well. Note: The 99 cent store sells 50 one gaallon bags for $1.00 ! !